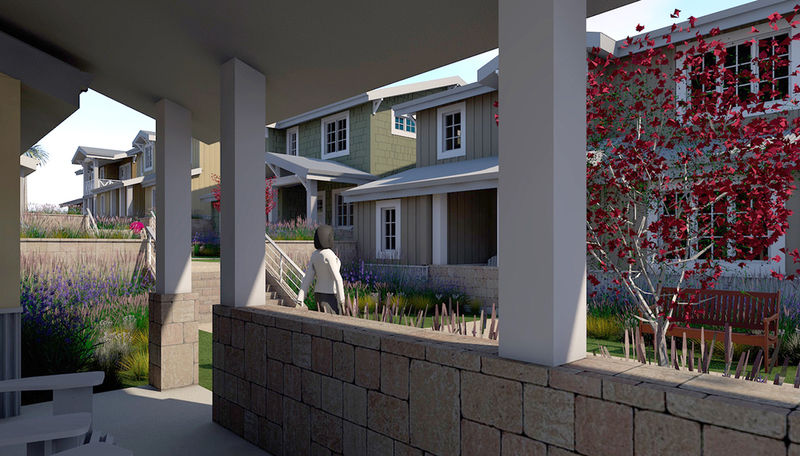 This new residential development in Napa, CA, consists of a community of nine single-family homes, 2 of which will have auxiliary, or “granny,” units. 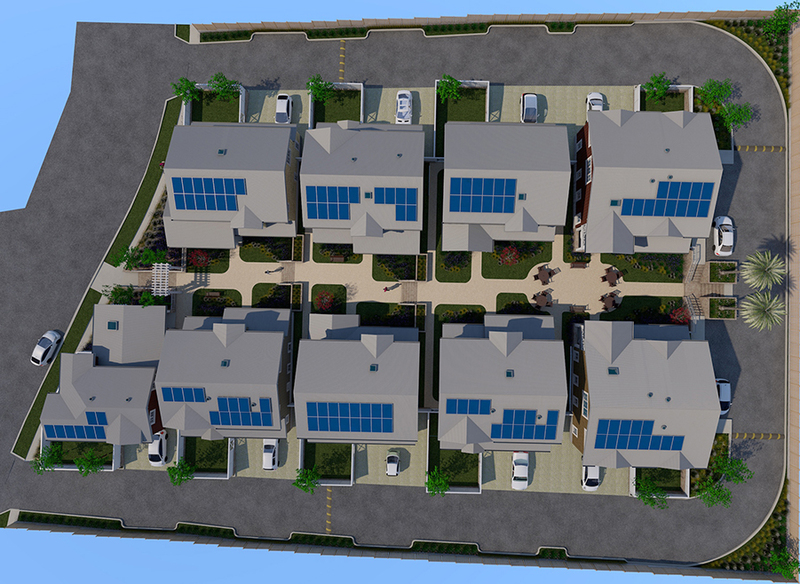 The homes will be designed to be “net zero energy” and will be built to achieve LEED Gold or platinum. 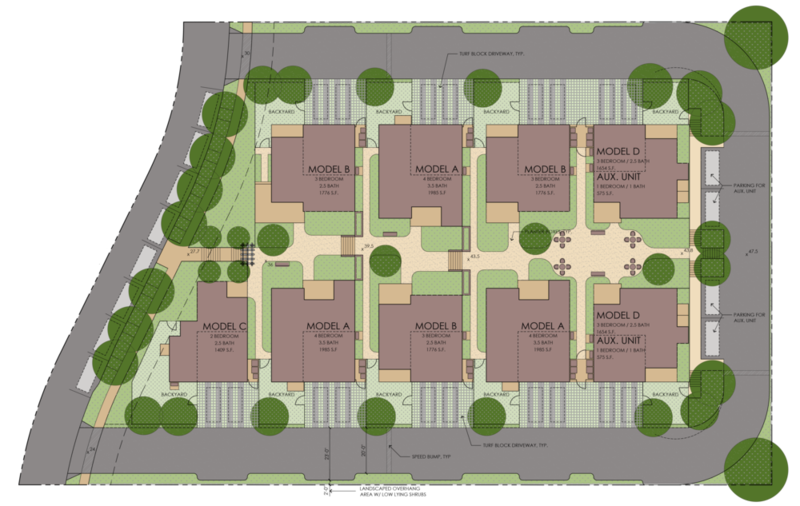 The site design intent of Harvest Village is to create a “pocket neighborhood." 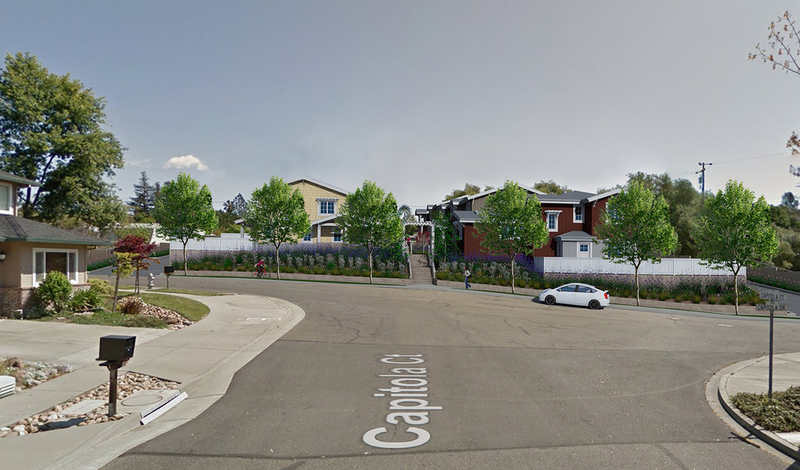 This group of homes will face a shared open green space. This is a place for neighbors to meet, get to know each other, share a meal, play, and relax. There will be a patio with picnic tables and chairs and an area for children to play, all within view of everyone’s kitchen sink. Guests enter the inviting and fully landscaped central courtyard from steps at Capitola Drive leading up through a trellised gate to the first level. There are three terraces within the courtyard. At each level you find comfortable benches and cozy places to interact with your neighbors. All the residences face the common pedestrian courtyard. Each home has a generous (9’x15’) private front porch that overlooks the inviting, plant-filled common space. There are three courtyard terraces connected by a weaving path and rustic amphitheater stairs. At the upper level there is a larger space for informal gathering and neighbor events. The garages of the homes are entered from the private road of the residences. This keeps the cars on the outer edge of the site. Creating a beautiful central space for neighbors, without the barriers of streets and cars, provides the residents with the opportunity to create a warm, close community. The homes are designed with open floor plans, which make them feel much larger than their footprint. 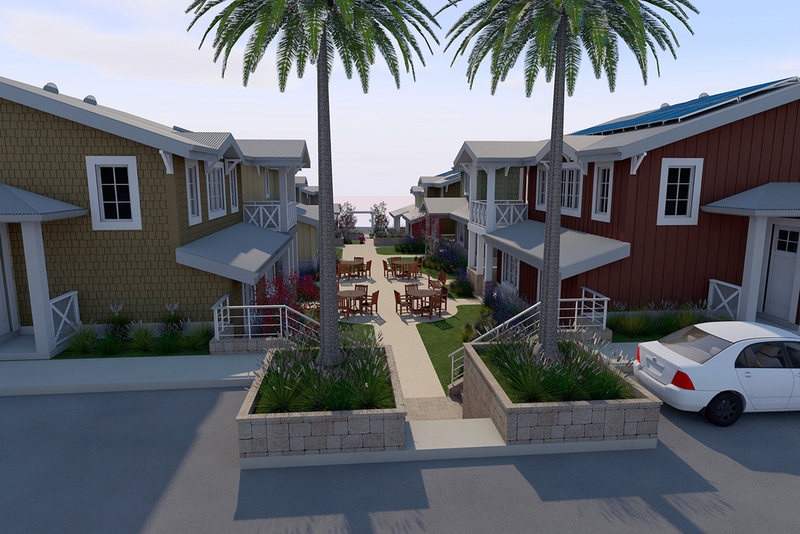 Like everything Thriving Communities does, these homes have been designed with community, sustainability, and health in mind.